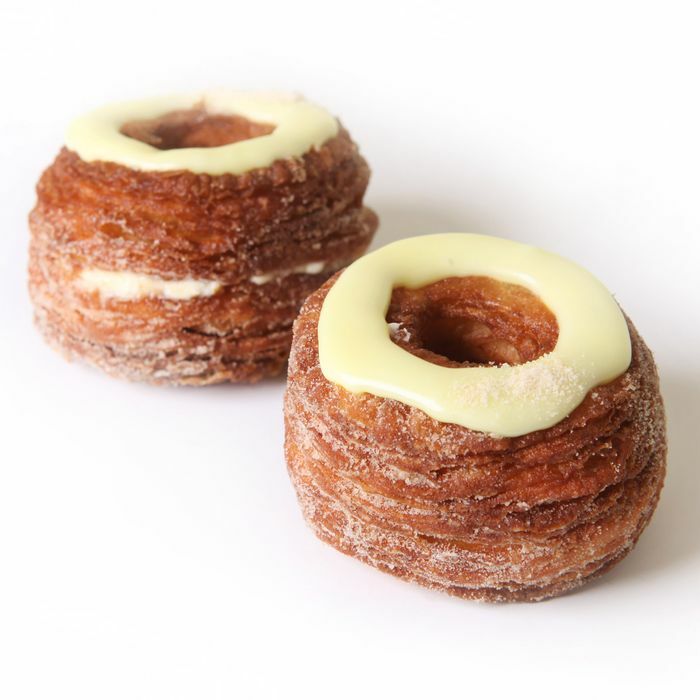 It’s been a while, but in today’s bit of Cronut news, the world has now been gifted with an official recipe from Dominique Ansel himself. That means the pastry chef’s “at-home” version of his big-deal pastry is now ready to be undertaken by intrepid novice bakers, and perhaps also people who like to torture themselves with incredibly technical recipes. Even Good Morning America, which posted the recipe on its site and slapped it with a “Difficulty: Extreme” rating, wants to be clear that these sweet babies are not just thrown together in a stand mixer. Here’s what you need to know before you dive in. But you soon realize this doesn’t even include the 18 more tablespoons of unsalted butter to get as close to the original pastry’s peel-apart layers as you can — overall, we’re talking 368.55 grams of butter for every 412.5 grams of flour here, and that’s not including even more heavy cream for the ganache — those recipes require tempering chocolate, blooming gelatin, and/or cooking custard. So, in addition to the two days of prep you need to do before you can fry your first Cronut (because the dough needs to proof and the ganache filling needs to rest), you’ll also want to schedule a few more days of pre-planning. Then there’s the equipment: Just to get a plate of Cronuts to the table, you’ll need a KitchenAid, for sure, and beyond that, some piping bags, a sharp Microplane, an accurate thermometer, a decent offset spatula, and two separate ring cutters. The recipe doesn’t spell it out, but you’ll also need a lot of parchment paper, a good slotted spoon to to retrieve your fried Cronuts from the hot oil, and, ideally, a resting rack to cool your hybrid pastries evenly — basically, voilà? Maybe all those people waiting on the line are onto something.